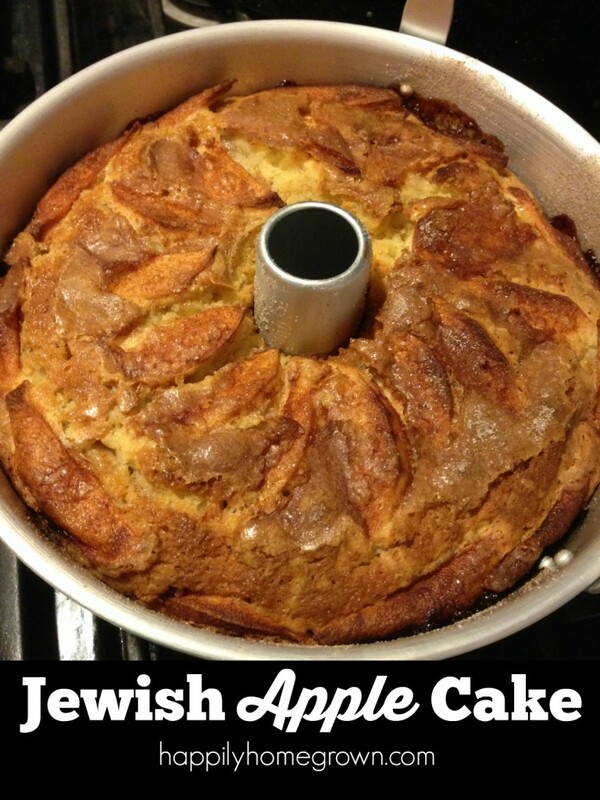 Jewish Apple Cake has got to be one of my all-time favorite comfort foods that makes me think of home, family, and growing up. My mom taught me how to bake this cake when I was a little girl, and for the last 20 years, I’ve been baking it on my own. It is amazing. Dense cake, sweet & tart apples, and of course plenty of cinnamon sugar! Its everything yummy about fall on one plate, and it’s absolutely perfect anytime you have apples on hand. Preheat the oven to 350. Grease an angel food pan. Don’t use that spray stuff – it doesn’t cover evenly. Peel, Core, and Slice 4-5 apples — I like Granny Smith apples. 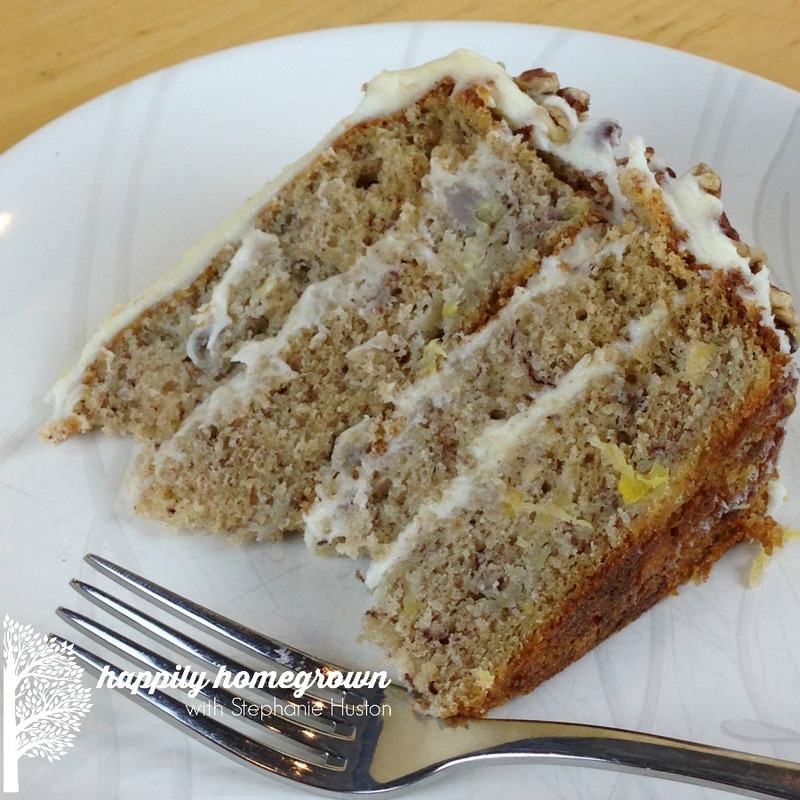 Put the apple slices aside while you prepare the rest of the cake. In a small bowl, combine 3 teaspoons of cinnamon and 10 teaspoons of sugar. If you like a lot of cinnamon-sugar in your apple cake, double it. 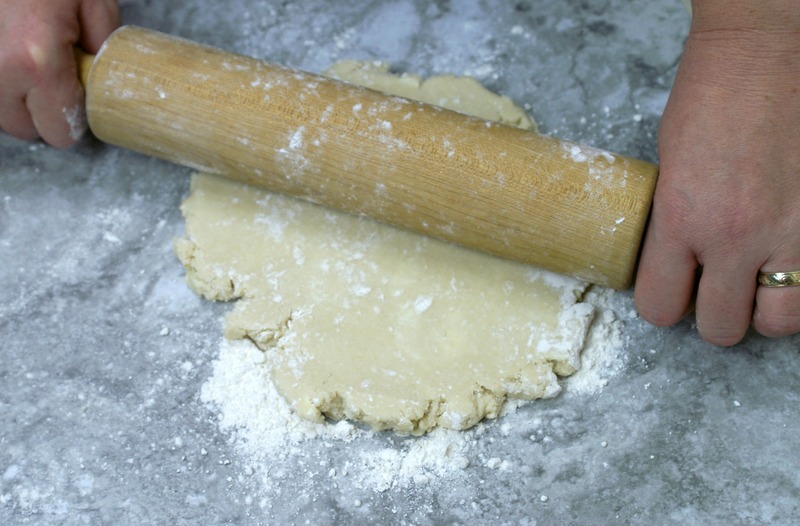 Combine all ingredients, and mix until a thick batter is formed. Put half of the batter into the prepared pan. Layer with the sliced apples and top with the cinnamon sugar. Repeat with the remaining batter, then apples, then cinnamon sugar. Bake at 350 for 1 hour 10 min or until a skewer comes out clean. I have had this cake take up to 2 hours to bake through properly depending on how juicy the apples were. Allow the cake to cool completely in the pan before removing it and slicing. Serve at room temp. Note: This cake freezes beautifully! You can freeze it whole. or by the slice. 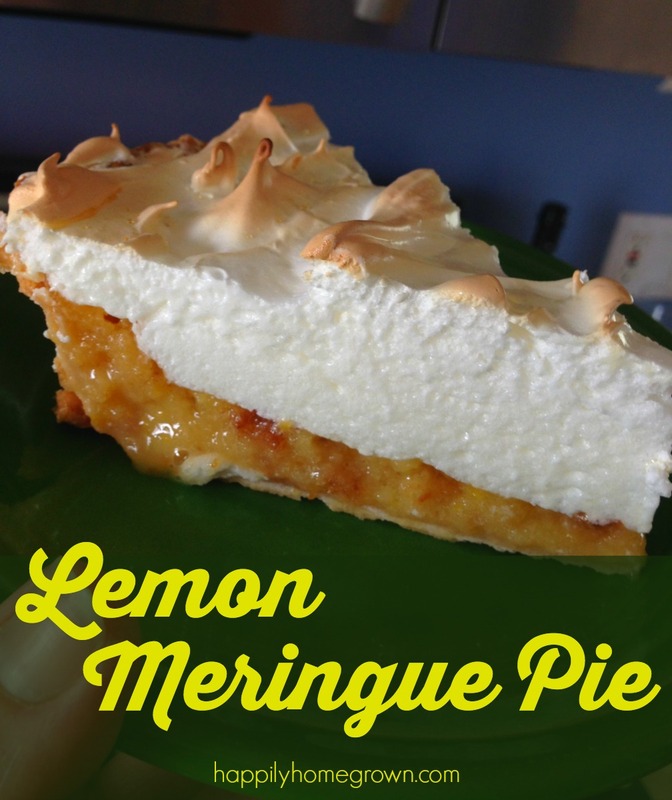 In a large mixing bowl, combine all ingredients, and mix until a thick batter is formed. looks so good! can’t wait to try it!! This sounds fantastic! 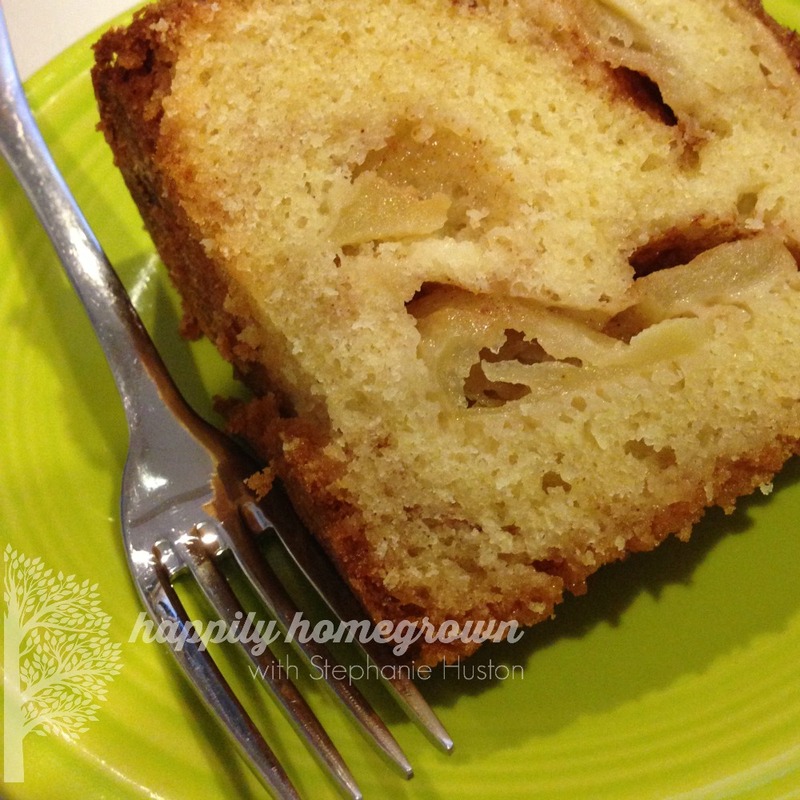 Love baking with apples! I love the sound of this cake. I am pinning to try it. I hope you try it! It’s one of our favorites.